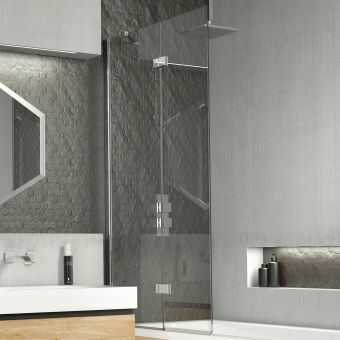 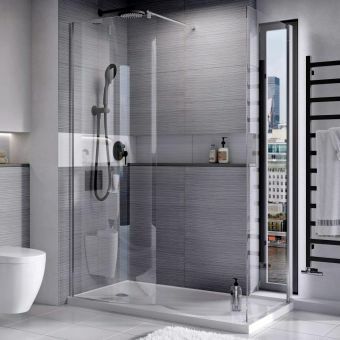 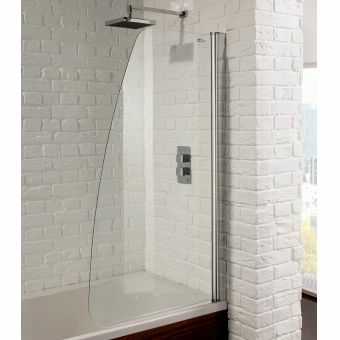 Everyone enjoys a luxurious soak in the bath but if you also need the option to have a shower as well, this bath screen from UK manufacturer Roman Showers will transform your bathroom. 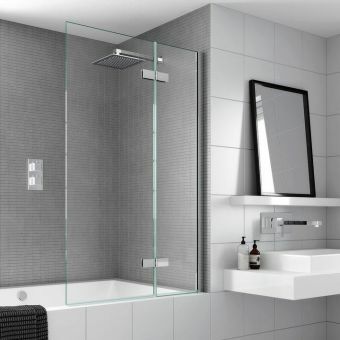 As part of the illustrious Lumin8 range, it inherits design specifications such as durable 8mm glass and engineering excellence. 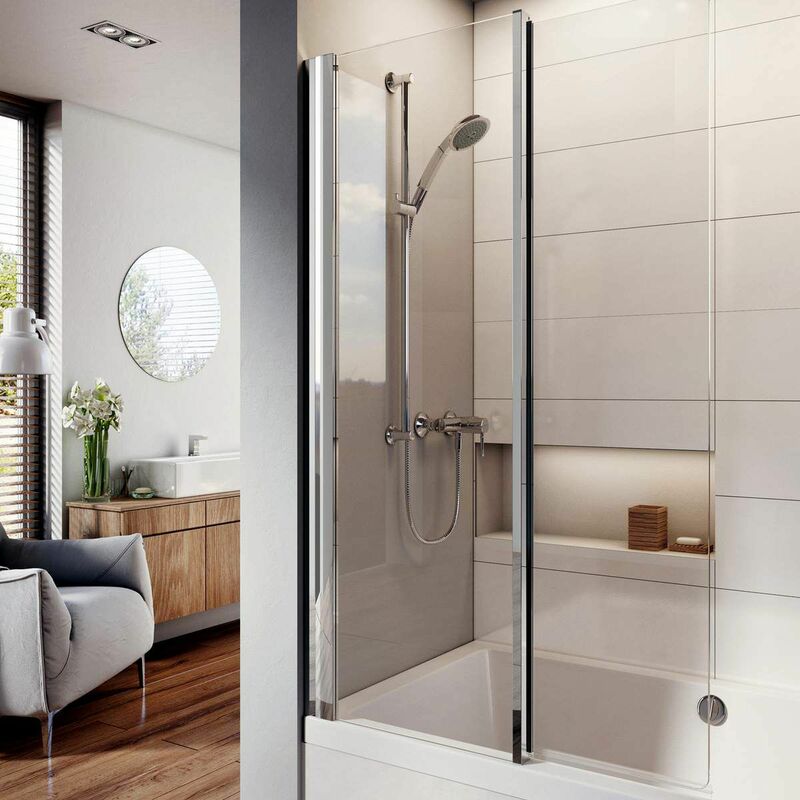 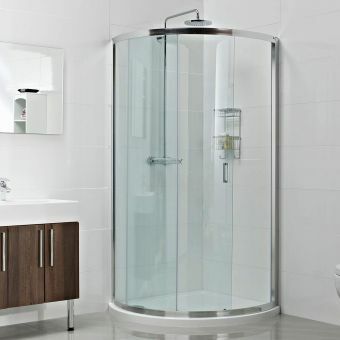 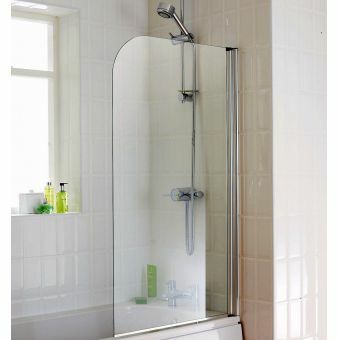 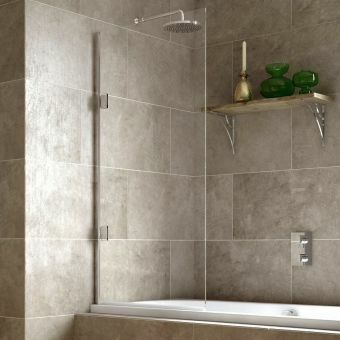 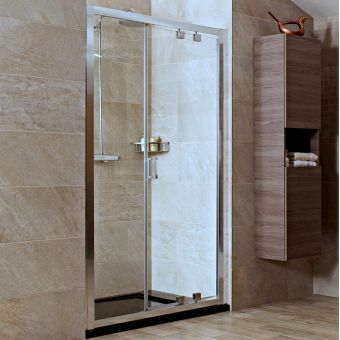 The overall height is generous at 1500mm and consists of two panels, a fixed adjustable panel tethered to the wall profile and a pivoting 360mm panel which can fold inwards back on itself to save space and make bath entry easier. 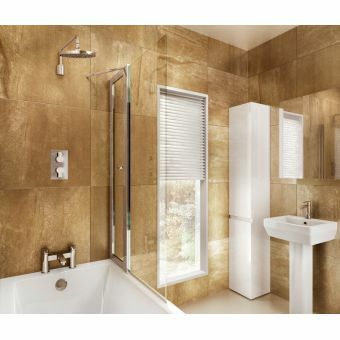 All parts are constructed from brass components to resist rusting and come coated in a superb polished silver finish to match in with your other bathroom components. 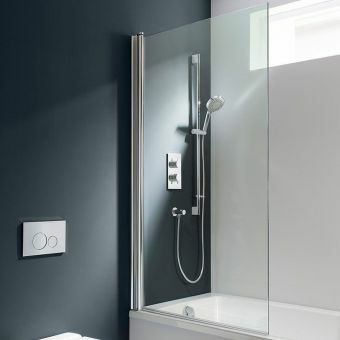 Up to 25mm of adjustment is available for your fitter to get it installed perfectly and its ingenious design also allows for a left or right-hand fitting to suit your own preferences. Roman includes a pre-treated glass cleaning application, Ultra Care, which is almost self-cleaning and cuts down on grime and dirt, more time to soak in the bath and less time spent cleaning. 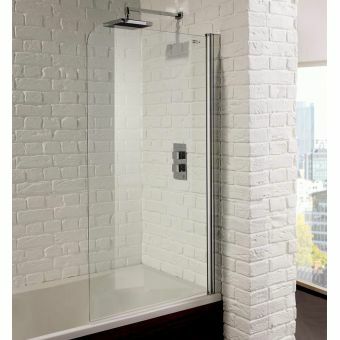 Dimensions: 910(w) x 1500(h)mm max.